The SCRUBBER/DRYER SCL50B scrubber dryer is a battery powered floor cleaning machine. 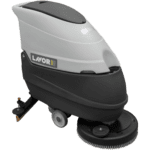 It has a scrubbing width of 500MM and a squeegee width of 800MM, as a result leading to a total cleaning area of around 2000 square metres per hour. Consequently, this ensures this floor scrubber leaves very little if any residual water on the surface being cleaned. This is after the suction motor and the squeegee have completed the waste collection process. 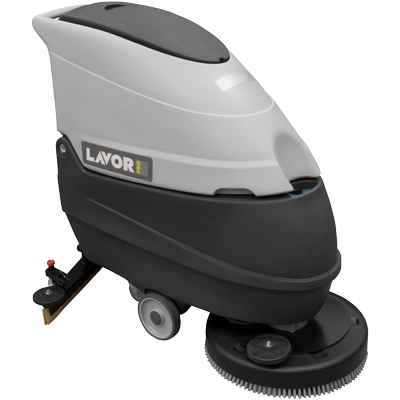 The floor scrubber comes standard with 2 x 12V battery system. The batteries have a working life of 2.5 hours and the units onboard battery charger offers a quick charge facility. Because of this, the scrubber machine allows for a quick top up charge of the battery if required. 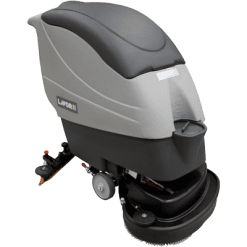 The SCL50B scrubber dryer is ideal for workshops with sealed floors for the clean up and collection of carbon fuel based waste. This can be done because of the carbon based fuel resistant squeegee rubbers on the unit. This ensures a longer functional life for the squeegees.